Eidolon360 is a virtual reality artwork that is interacted with through VR headsets. 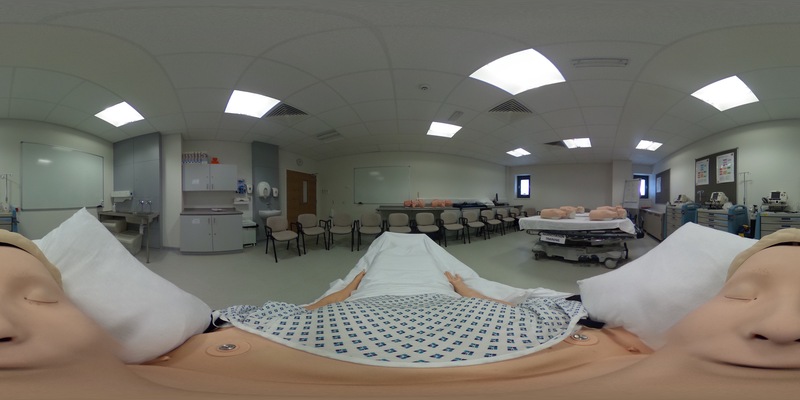 The viewer, reclines on a bed within the exhibition space, and experiences a 360 film, shot within the Scottish Centre for Simulation & Clinical Human Factors, at the Forth Valley Royal Hospital, that mimics clinical hospital locations, such as operating theatres and hospital wards. 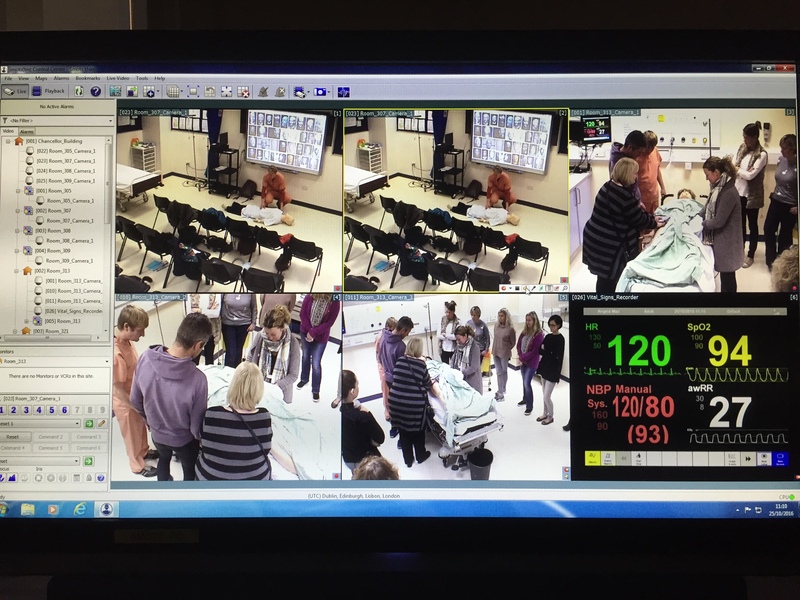 The reclining viewer inhabits the point of view of resuscitation manikin Resusci Anne, set within a resuscitation training room. A medic (actress Pauline Goldsmith) approaches Resusci Anne and tenderly recounts her origin story, an intriguing tale of a mysterious drowned young woman, L’inconnue de la Seine, found in Paris in the late 1880’s, who became the face of CPR (cardiopulmonary resuscitation), Resusci Anne, and has since been revived by over 300 million people worldwide. 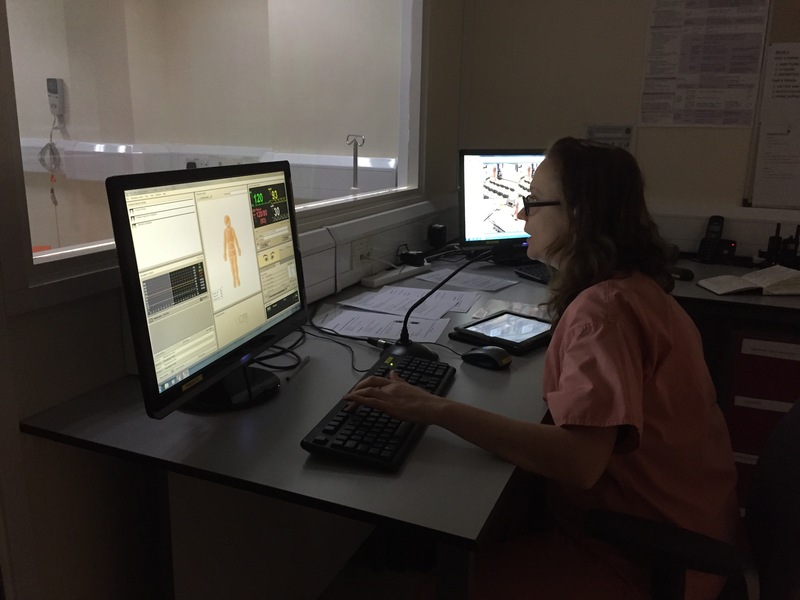 The film attempts to present an emotionally resonant anecdote, as an immersive experience, scrutinizing the overlaps between real life and simulation. Eidolon360 is a virtual reality artwork and experience that is interacted with through VR headsets. 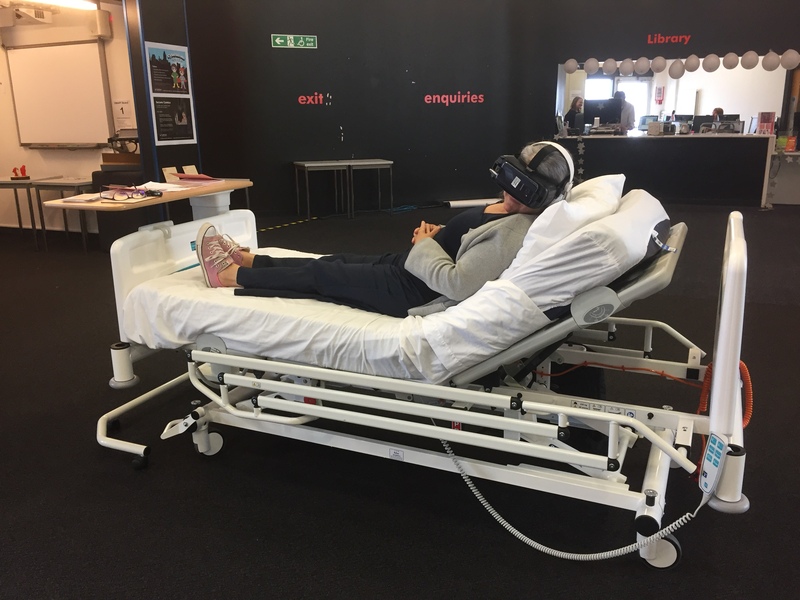 The viewer, reclines on a bed within the exhibition space, and experiences a 360 film, shot within the Scottish Centre for Simulation & Clinical Human Factors, at the Forth Valley Royal Hospital, that mimics clinical hospital locations, such as operating theatres and hospital wards. 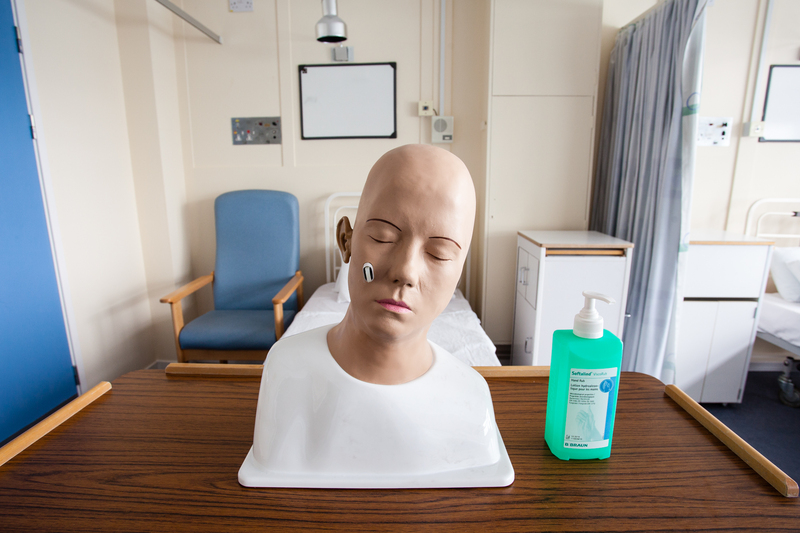 The reclining viewer inhabits the point of view of resuscitation manikin Resusci Anne, set within a resuscitation training room. A medic (actress Pauline Goldsmith) approaches Resusci Anne and tenderly recounts her origin story, an intriguing tale of a mysterious drowned young woman, L’inconnue de la Seine, found in Paris in the late 1880’s, who became the face of CPR (cardiopulmonary resuscitation), Resusci Anne, and has since been revived by over 300 million people worldwide. 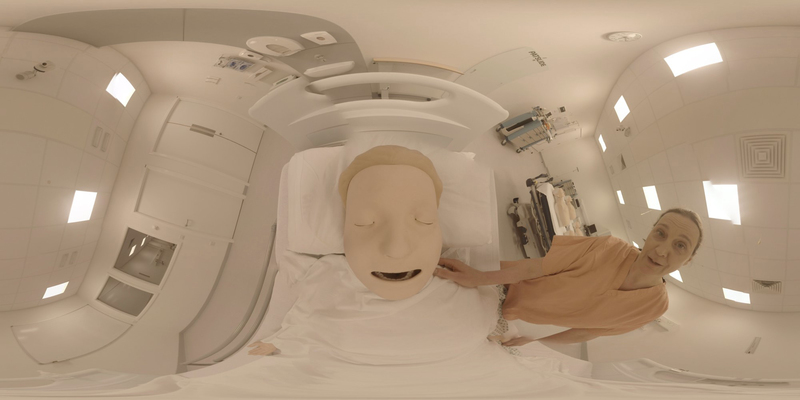 The film attempts to present an emotionally resonant anecdote, as an immersive experience, scrutinizing the overlaps between real life and simulation. The piece is being stitched, edited and sound-tracked at the moment (thanks to Tom Flint for 360 stitching, George Mikrogiannakis for sound design, and of course Pauline Goldsmith for her performance). 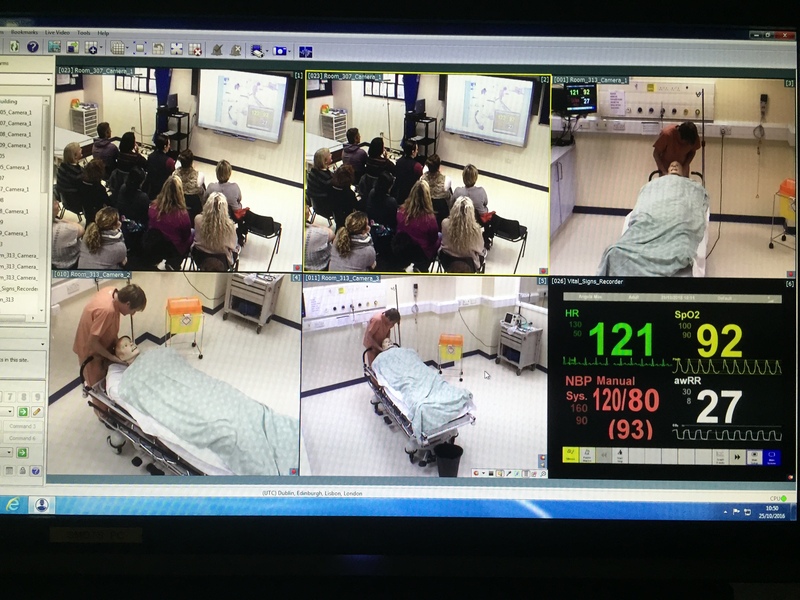 Documentation of the Eidolon performances that happened between June – Oct 2016, is now online to view! This is edited down from hours of footage (18 hours of footage across 9 camera feeds, for each performance in Larbert…) but hopefully will give you a flavour of the event if you didn’t see it in person, and some memories (good, bad or just a bit weird) if you did manage to make it along. 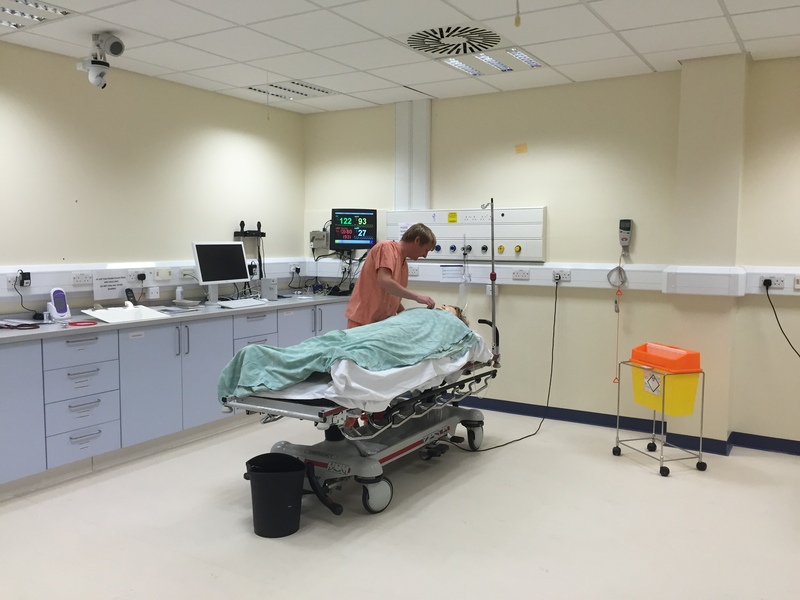 Eidolon was performed at the International Congress of Biomedical Ethics in June 2016 (IAB2016) and – as part of the Edinburgh Art Festival (EAF) – within the Clinical Skills and Assessment Centre at the Western General Hospital, Edinburgh in August 2016. 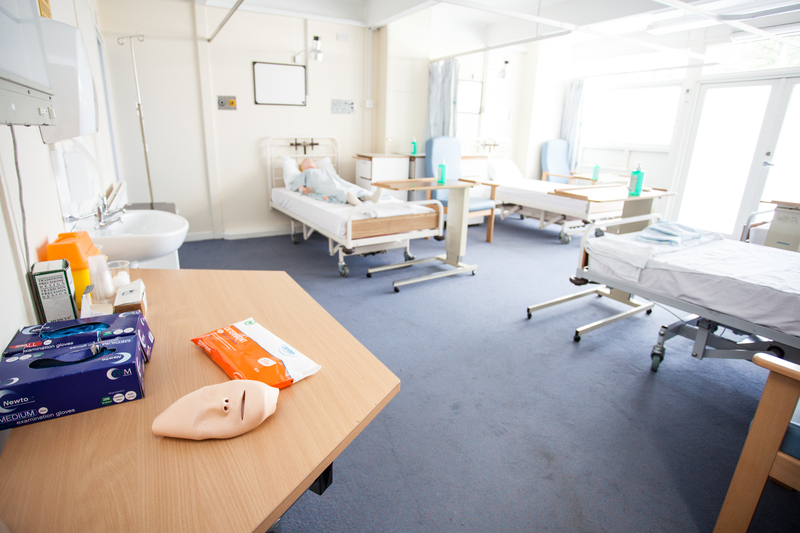 There were two further performances at the Scottish Centre for Simulation and Clinical Human Factors, Forth Valley Royal Hospital, Larbert, on Sunday 9th October 2016 and, later that month, an extract of the Eidolon performance was presented for a group of student Advanced Nurse Practitioners, as part of their ‘Professional Clinical Work Based Learning module’ at the Clinical Skills Centre, Royal Infirmary Edinburgh. Eidolon by Beverley Hood, 2016. Photography by Lindsay Perth. With thanks to the performers Freya Jeffs, Pauline Goldsmith, Stanley Pattison, Magnus Sinding, dramaturg Jeremy Weller, sound designer George Mikrogionnakis, Dr Michael Moneypenny, The Scottish Centre for Simulation & Clinical Human Factors (Forth Valley Royal Hospital), Nathan Oliver, Clinical Skills & Assessment Centre (Western General Hospital Edinburgh), Caroline Nicholson, Clinical Skills Centre (Royal Infirmary of Edinburgh) & Babs McCool. 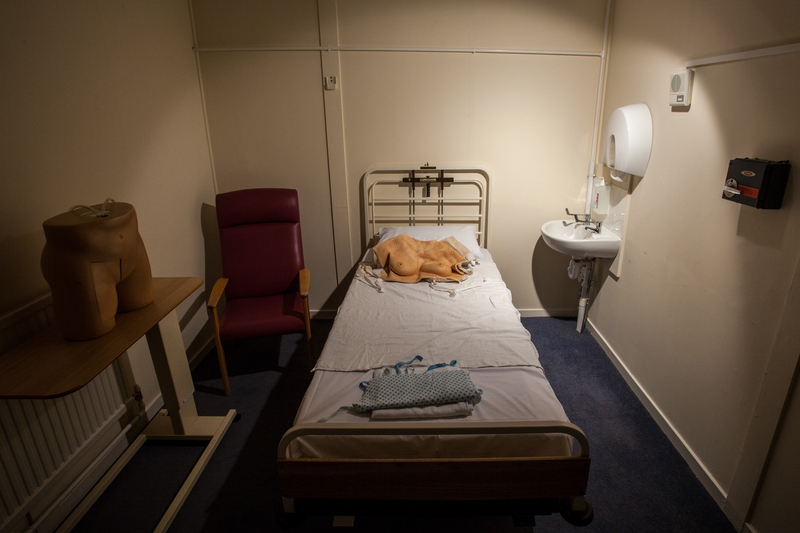 Eidolon is supported by a Wellcome Trust Arts Award, Creative Scotland and Edinburgh College of Art/University of Edinburgh. The final section of Eidolon is underway, and it’s going to be a 360video experience of the L’inconnue/Resusci Anne origin story, interacted with through VR Headsets! It’ll feature my longstanding collaborator, actor Pauline Goldsmith (currently performing in Bluebeard’s Castle & the 8th Door, Scottish Opera’s collaboration with Vanishing Point – catch it if you can!) 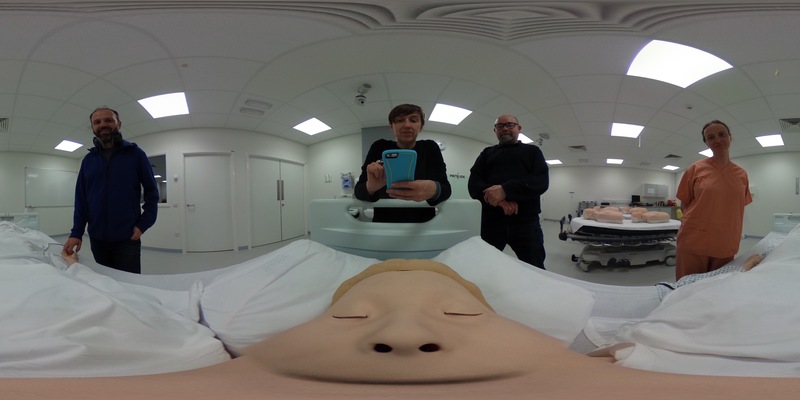 and is being developed in collaboration with Tom Flint, Programme Director for Digital Media and Interaction Design at Napier University, and all round 360 video aficionado (very lucky to have him on board!). 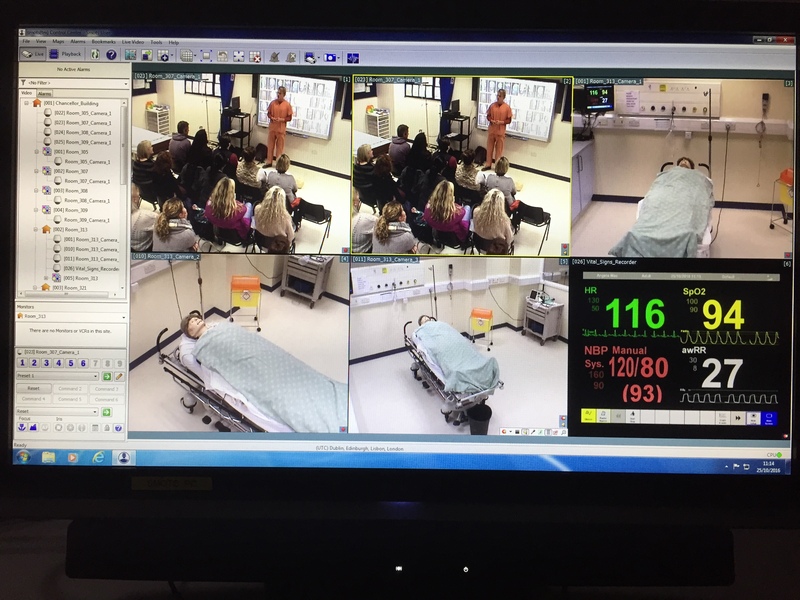 Eidolon will be performed at the Scottish Centre for Simulation & Clinical Human Factors, Forth Valley Royal Hospital, Larbert on 9th Oct 2016, 1pm & 3pm. 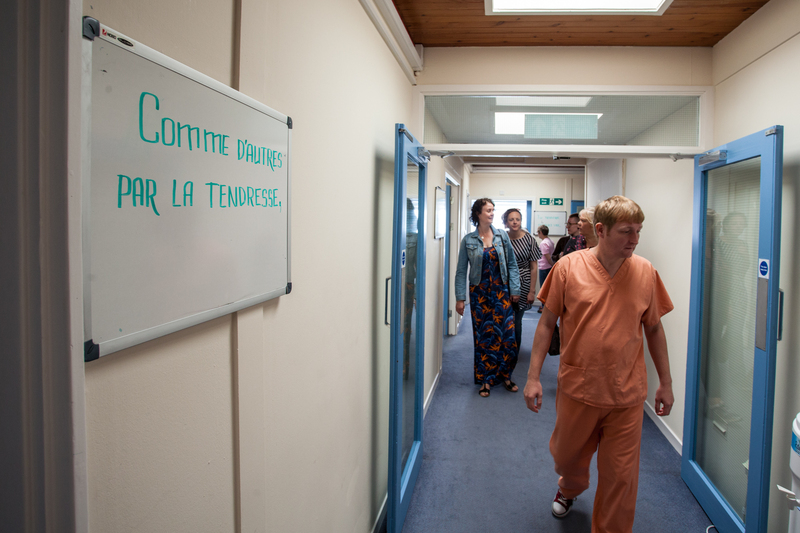 It’s free but ticketed: https://eidolon-performance.eventbrite.com and you get to wear scrubs! To wet your appetite here are some images from the ‘walk around’ section of the last performance as part of the Edinburgh Art Festival in August. 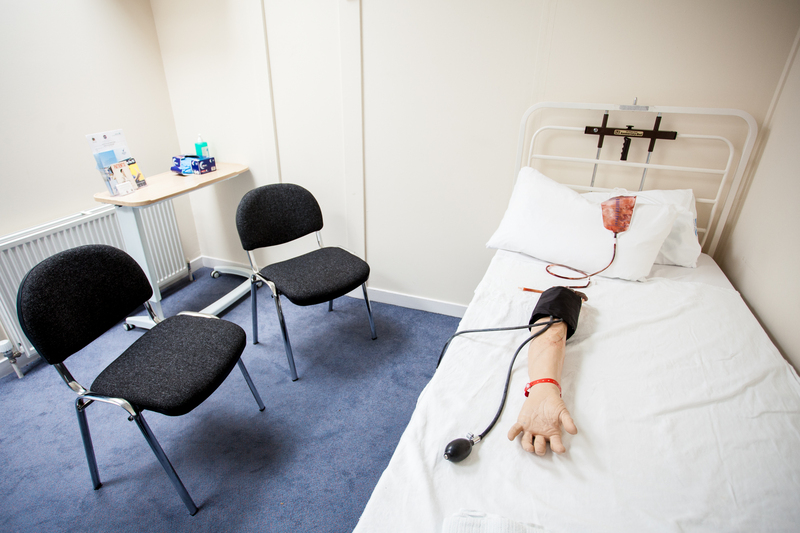 Eidolon by Beverley Hood @Edinburgh Art Festival. Photography by Lindsay Perth. 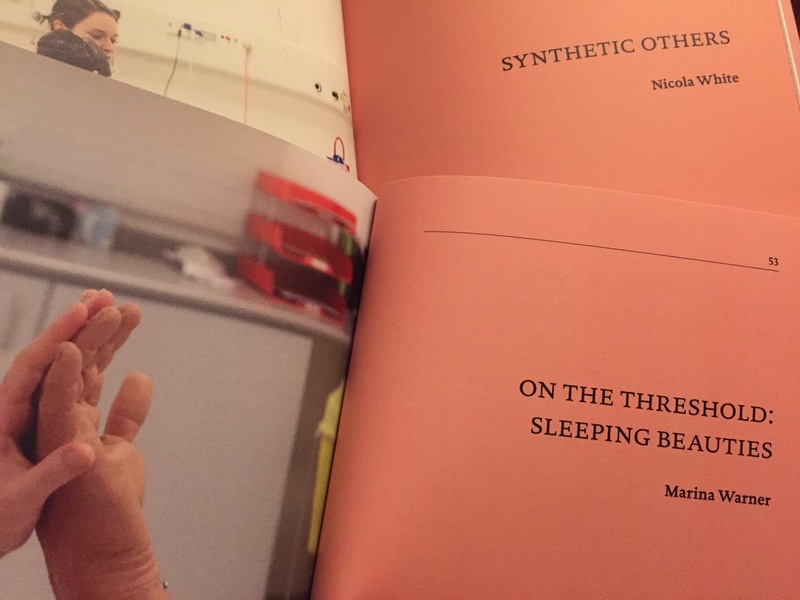 A luscious monograph was published in August, to accompany the presentation of the Eidolon live performance and video installation, at the Edinburgh Art Festival. 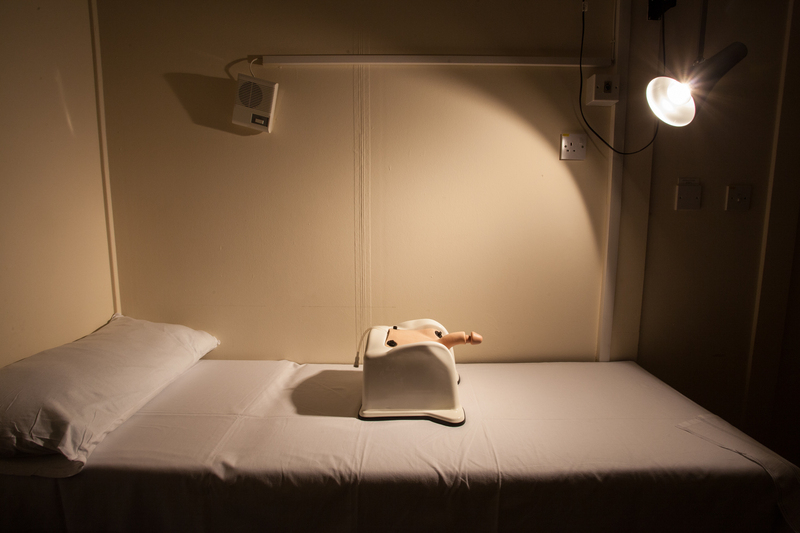 With essays by Nicola White and Marina Warner, photography by Alicia Bruce, Emma Bowen and Lindsay Perth, and design by Marco Scerri, it features performers Freya Jeffs, Pauline Goldsmith, Robert Stanley Pattison and Magnus Sinding Hølvold. The Eidolon monograph now available at Streetlevel Photoworks and the Fruitmarket Gallery bookshop. Thanks everyone for all your fantastic contributions!